A new resort style home set on an extensive 1715 sqm site featuring a 1 & 2 level weatherboard home. This large block of 1715 sqm is capable of supporting 3 homes. Instead our clients were looking to create their dream home - a resort style weatherboard beach house. 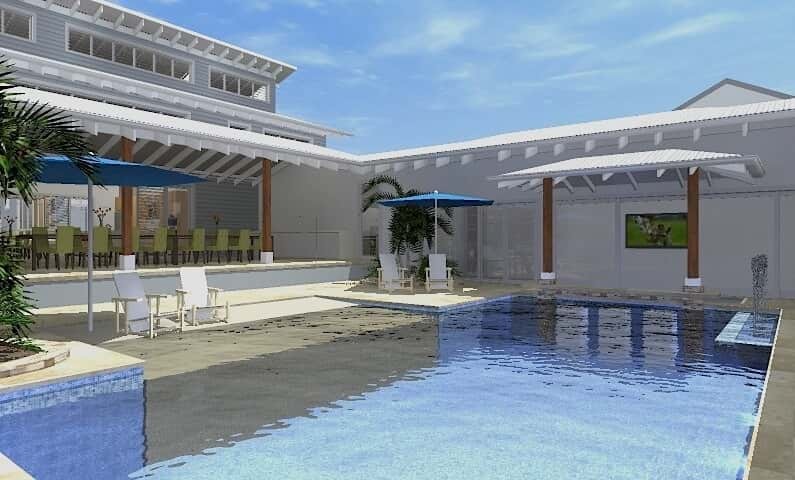 Two storey at the back, single storey at the front, with a large resort style pool and an alfresco courtyard. Large open entertainment areas create seamless flow to capture an indoor outdoor feel custom to our client's lifestyle. DA approved by Warringah council in 15 weeks. Forecourt, playground & double garage with storage.